What I love about being in video production is, the scene is always changing, as are the stories we tell, as well as the opportunity of having so many different views to tell it from. 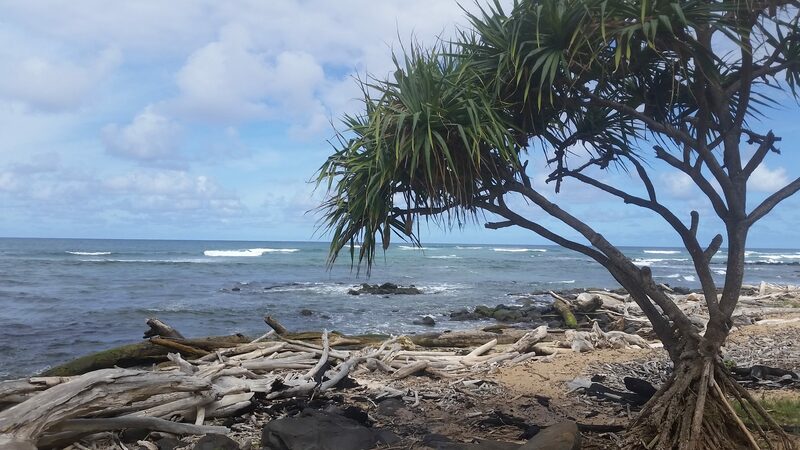 Recently I have had the chance to do extensive filming in the beautiful island of Kauai HI. 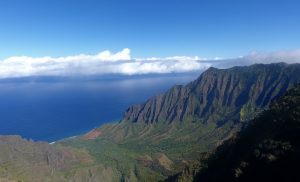 Here is one of my favorite images of the infamous Na Pali coastline taken on a rare clear day! Okay back to the normal life in a week video production schedule. Today we are heading up to the U of U to shoot a segment for the Kathy Ireland Business to Business show. Friday I have the privilege and very rare opportunity to film the day in the life of a beautiful 2 ½-year-old girl, who was oxygen deprived at birth and as a result, has severe brain damage that has drastically changed the path of her and her parent’s lives. At this tender young age when most toddlers are talking, learning to run and out exploring this big world, this young girl doesn’t talk, she uses a walker to help with her with her balance, and the common things all developing children do with ease naturally that we simply just take for granted, she struggles with. Being in such an intimate space with a family you have never met is so fulfilling! Some may not have the stomach to film a hard day of struggle full of emotion, I am looking forward to it, you see, the reason we are creating this video is to show it in a malpractice lawsuit, making a captivating video that relates the everyday struggle this family now goes through is what this is about! The amazing thing about producing videos is, they have the power to tell stories and convey visually, information that simply cannot be put into words in such a dramatic compact presentation. I LOVE shooting, directing, and producing videos and I love having the small windows of opportunity to meet real people in real life doing what they do! I have always had a hard time trying to figure out what I am supposed to do when I grow up, as I look back over the last 35 years, I have been, done, and tried many different careers, Professional BMXer, Insurance Salesman, Retail Manager, but at the end of it all, I now know who I am, and I know what I love to do! Direct, produce and shoot compelling videos that make a difference! Welcome to Video Production Kauai! 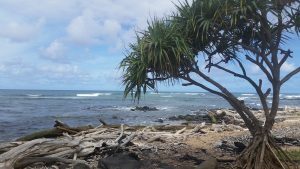 Levitate is now offering a full range of production services, video production Kauai, as well as all of the other Hawaiin islands. 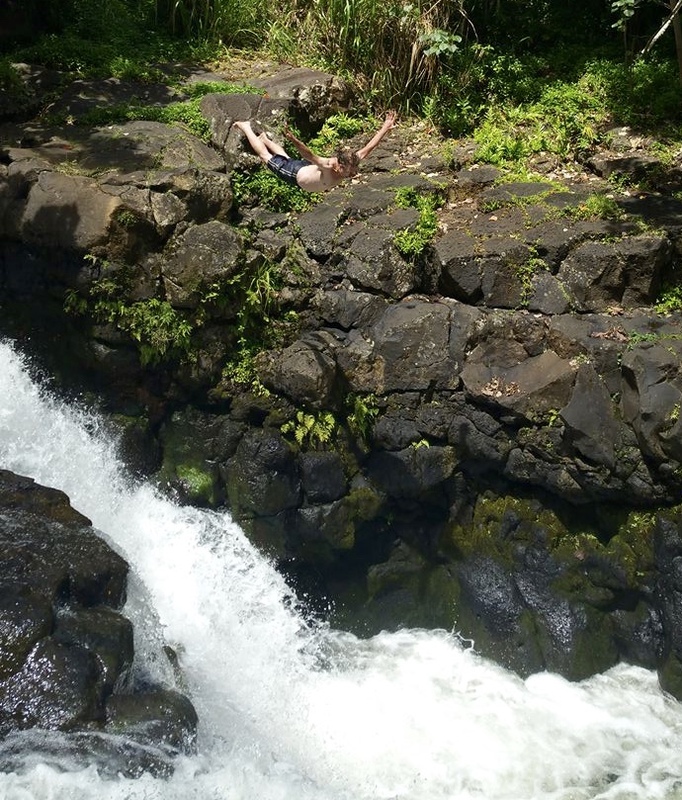 Come experience the vital raw life force energy that is Kauai. From the magnificent cliffs on the Na Pali coast to the take your breath away views of Hanalei Bay. 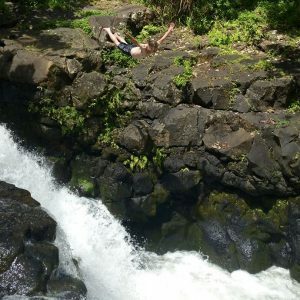 We can provide you the highest quality video production services in all of Kauai! Whether you have visited the islands or not, you owe it to yourself and your employees to come to Kauai and experience the Raw Magnificence that mother nature provides here! There is a reason it is called the garden isle! Come to the island and relax while you are “Working” wink wink, we will take care of all your video production Kauai needs, whether it be a corporate video, commercial or any other type of video production, we have everything you need all in one little island smaller than the valley of the Great Salt Lake! The Hanalei Bay is known for some of the most beautiful sunsets on the island! The Hanalei Pier was built in 1892 both rustic and historic it has long been a favorite gathering place for local residents who go there for fishing, swimming and to play music.In 1957, the pier became famous when 20th Century Fox featured the pier in the classic film, “South Pacific.” It is known for some of the most beautiful sunsets on the island! What does video production have to do with fruit flies? I like to garden and Harvest time is one of my favorite times of the year! A bounty of hearty fresh luscious vegetables and greens are the fruition and dividend of all the spring and summers hard work. Waking to the fresh and crisp cool air, the birds singing their beautiful songs of a new start and a new day… but also a mildly sweet melancholy of things to come, with the days growing both cooler and shorter and as the sun begins its familiar journey south bringing the vibrant fall colors and the beautiful stillness of a peaceful winter snowfall blanketing the city at 2:00 a.m. lulling all still awake into a steady sound sleep. As I was saying one of my favorite times of the year! One of the things I love to do is take a sweet juicy tomato plucked right off of the vine, sprinkle some good ole Utah Redmond’s Real Salt and eat it the same way I would a fresh plucked green apple! As the autumn harvest comes into season and with it, the amazing little creatures we know as fruit flies associated with the ripening of fruit accompanying us as well. It is also a time to reflect on the last year and start making plans for next year, now I am talking about gardening but I am also talking about business. In reflecting on our completion of our first year in business I am filled with humility and gratitude over the progress and many accomplishments that have been made over the last 12 months. Fruit Flies are said to represent transformation and growth they are resourceful survivors and utilize many unique strategies to survive! Just as in business you need to be resourceful and have the ability to adapt and survive in your trade or industry! Companies will live or die from their ability to adapt to changes in business! We recently created a 60th anniversary celebration and new touch product launch for BMA Banking Systems. They showed this 60th anniversary celebration as a preview on the big screen at the Megaplex theaters for their customers as a private audience. Well needless to say BMA has come a long way since making basic accounting machines to providing banks with an entire solution that works seamlessly with all touch applications! You could say that BMA has been resourceful and successful in reinventing themselves along their fabulous 60-year journey! So what has changed in video production in the last 5 years and how does that relate to online marketing? I have seen video become absolutely necessary for all web based business thus the importance and emergence of many local Utah video production companies. Smart phones have changed the way we live our lives and the way we consume as well. I still remember someone telling me 5 years ago that our cell phones would replace our laptops. I could not even imagine such a thing and yet just a short 5 years later this little device called a smart phone grants me access to knowledge, wisdom and power wherever I may happen to be. The other important note is smart phone users are emerging as new informed tech savvy consumers! They know what they want and they are searching now because they are ready to purchase! Needless to say Smart phones have changed the way we do business and also the way we consume so the growth of the video production industry has been correlative as well. Video works, video is now your websites largest asset in providing your customer the information they are looking for in an easily consumable format and allows you to connect personally! Video has the ability to convey emotion and give your consumers a chance to have an experience with you all from their smart phone, pc or tablet. Along with the explosion in the need for excellent video the need for a fully functioning responsive designed website is ever present! If your website does not give the user a great experience on their viewing application you are simply losing business. So what do fruit flies have to do with video production? Just as important what does video and choosing the right Utah video production company have to do with your businesses online marketing plan and what does adaptation to technology have to do with your business and more importantly it’s future? Well to me, the fruit flies are a messenger reminding me to do complete work! They remind me to look from different perspectives… A reminder that adaptation and transformation are good for the future of all businesses! In this high tech world of ever changing technology I am reminded to keep learning to look forward and to always be looking for creative solutions and what works best! As for Levitate, we are going to keep doing what we do best, communicate with our customers, deliver what they want by when it is expected and to always be looking at how can we improve. Levitate Media Group, Video that moves! It seems like we are always being apprised of Google’s Algorithm updates. This one is focused clearly on how mobile friendly your site is. This is not necessarily a bad thing; user experience is among the highest priorities you can have established for your site. 50% of searches are now coming from mobile devices. That’s right 50% of searches are now coming from mobile browsers! 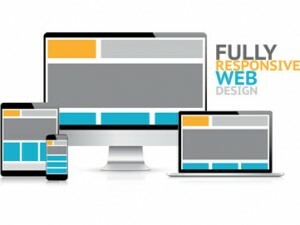 Now more than ever Responsive Design Sites are the answer! Mobile is now the leader According to predictions by Google; mobile searches (at 85.9 billion) will soon surpass desktop searches (84 billion) in 2015. Search ad spending grew, and desktop search ads only experienced small growth, supporting this prediction. By 2015, it is predicted that there will be 2 billion smart phone users globally. As of right now, 57% of the United States owns a smart phone. These numbers all add up to show ups that mobile and mobile devices are here to stay. Mobile is local Currently, 40% of mobile searches are local, and 77% of them take place while the user is at home or at work. Mobile-on-the-go is crucial to everyone, and users are utilizing mobile in local areas, for local businesses. Mobile has fast conversions 81% of conversions from mobile search happen within five hours of the search. Searches are important because they lead to other actions like calls, visits to a business, and ultimately. Sales. Conversion is dependent upon you, the business owner, which means that you need to be available via mobile to snag those customers, and provide them with accessibility and great customer service/products. Mobile presents new opportunities to connect What are the top five tasks that users need their smart phone for? Making phone calls at 83%, checking email at 74%, searches at 67%, taking pictures at 62%, and accessing social media at 57%. You can use each one of these tasks to help your marketing strategy. Tasks like email, social media, pictures of your products and services, and more, will all help you further your business. Mobile peak times are growing Knowing when users are active is really smart. Most mobile searches take place during the time frame of 8pm to midnight, and mobile searches double during the holidays. Little facts like these can really help you base your advertising and marketing strategies around user habits, to make the most of your advertising dollars. Mobile usage growth applies to everyone Mobile isn’t just for kids and teenagers anymore. As of right now; the 55-64 age group is the fastest growing demographic on Twitter, and for Facebook and Google+, the fastest growing demographic is 45-54. So what does that mean? You should find a way to tie your marketing strategy into those demographics, and adjust your social media and email presence to those groups. Mobile apps are preferred 85% of Mobile users are more comfortable with apps than mobile websites. IOS apps currently generate four times the revenue than Android apps do. When it comes to social media, Facebook is downloaded the most, followed by Google+, and Google Search. Using these statistics to help design your mobile strategy is really smart. When used in conjunction with the demographic information, you can customize your advertising and other strategies to bring in the most business. If you would like to know more about your sites performance or have any other questions contact us today! Recently, Darren from Everlights, contacted us about creating a submission video for ABC’s television show, Shark Tank. Not having created a video before, Darren hopped online, searched Utah Video Production, found our website and gave us a call! As a fellow entrepreneur I get excited about business startups and new projects and was eager to learn more about EverLights. EverLights is an amazing new company with a permanent LED Christmas lights solution. 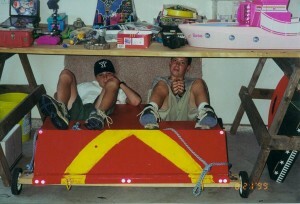 Owners Darren Taylor & Ross Harke, a couple of really great ingenuitive guys, best friends since elementary school. Their concept is to eliminate the hassle of putting up and taking down your christmas lights every year. I hopped on YouTube and checked out a dozen or so episodes. In my world, Shark Tank is like the American Idol for Businesses. And just like in business, it’s not personal. It’s about the bottom line end results. Their unique concept, knocking off the Rob Lowe DirectTV commercial. The submission video had to answer several questions, telling their unique story and setting them apart from others looking to be on the show. Their commercial was a hoot and turned out quite well!